3rd-strike.com | Log Jammers – Kickstarter campaign for port to modern consoles! Log Jammers – Kickstarter campaign for port to modern consoles! Log Jammers is a competitive arcade sports game for NES & PC, developed by Mega Cat Studios. The developers set up a Kickstarter campaign to be able to port the game to Switch, Xbox One, and PlayStation 4, and to add new features. This game unites old and new with cool retro style graphics and couch co-op gameplay, combined with anything a modern gamer could want, like Twitch & Mixer life-streaming integration, cool Razer Chroma integration, seamless online multiplayer, and character depth. The game is currently ready to play for NES & PC, with just some fine-tuning needed. The game is available for the NES as a physical cartridge, and there’s even a hand-carved wooden cartridge available! This kickstarter campaign is aimed specifically at the realization of the ports to modern consoles (Switch, Xbox One, and PlayStation 4), and to add features like the Twitch & Mixer integration plus online multiplayer. Next to that, the team is very open to suggestions for added items and other feedback, and will try to polish the game to perfection with the funding they get. 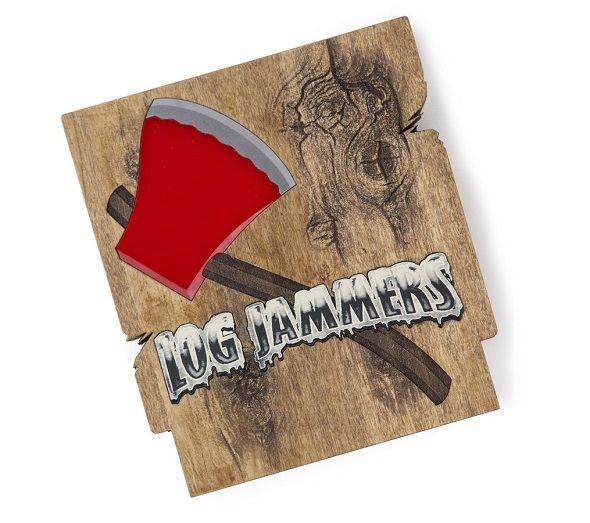 Check out the Log Jammers Kickstarter campaign for more information!